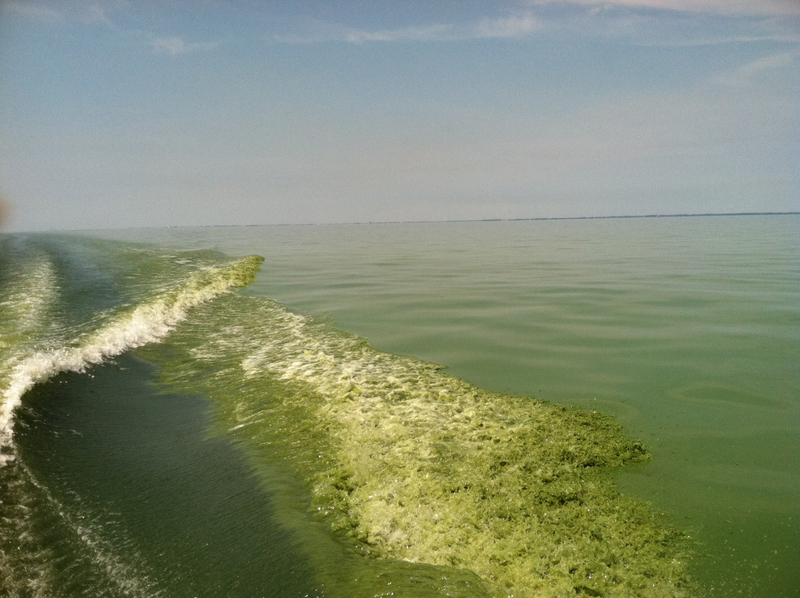 The toxic algae scare in Toledo this past summer really drove home the problem of fertilizer pollution in this country, right through the faucets of half a million unsuspecting residents. Don’t drink the water, officials warned. Don’t even touch it. We need and rely on farmers every day for our well-being. But when producing food for a growing population threatens to deprive us of water, another life essential, it’s time to rethink the way we feed America. That’s why I’m so excited about EDF’s new Sustainable Sourcing Initiative. Our goal in this collaborative effort is to engage every player in the U.S. grain supply chain to solve what has been an intractable problem for decades. Fertilizer, of course, is necessary for achieving high crop yields. But its inefficient use contributes to climate instability and causes dead zones that contaminate water supplies and kill millions of fish each year. In the U.S., we have tried to regulate our way to a solution for 40 years with far too limited results. Dead zones still persist in the Gulf of Mexico, Chesapeake Bay and Lake Erie. And greenhouse gas emissions from agriculture, which already account for 8 percent of total GHG emissions in the United States, are likely to grow as the sector ramps up to feed a growing population. For the past decade, EDF has worked with grower networks in several states to test and prove sustainable methods that enable farmers to become more productive while minimizing nutrient losses to water and air – losses that are costly to both the farmers’ wallets and the environment. The good news is that we’ve managed to reduce nutrient losses by an average of 25 percent on half a million acres while increasing or maintaining yields. The challenge: figuring out how to scale these practices up. EDF is working across the agricultural supply chain to end fertilizer pollution as a major environmental concern. Last year, Walmart provided the catalyst we needed. 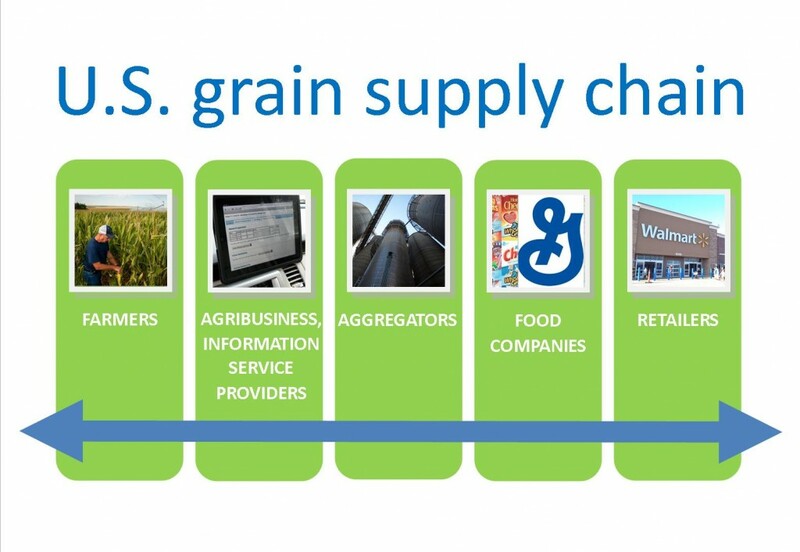 As part of its commitment to slash greenhouse gas emissions from its supply chain, the nation’s largest grocer asked its top suppliers to submit plans on how they would source nutrient-efficient grains to deliver real environmental improvements. Fifteen food companies responded, and many turned to EDF for help in developing and implementing those plans – including Smithfield, the world’s largest pork producer, General Mills and The Coca-Cola Company, which works in partnership with World Wildlife Fund. Fifteen companies may not seem like a lot, but these brand giants represent 30 percent of the food and beverage market in North America! Now we’re drilling deeper into the supply chain, collaborating with agribusinesses like United Suppliers to help farmers meet the food companies’ new demand. United Suppliers is a member-owned wholesaler based in Iowa that provides agricultural products and services to about 700 grower cooperatives and retailers across the United States and Canada. Over the past six months, I have worked closely with United Suppliers to develop a sustainability program that will be rolled out to farmers by the company’s network of well-trained retailer owners and expert staff. They’ve committed to enrolling about 10 million acres in the fertilizer efficiency program by 2020, which would reduce greenhouse gas emissions by nearly 5 million metric tons and help to improve water quality. Talk about scaling up! You might think that commodity grain farmers would resist the supply chain demand for more sustainable grains, but they’re enthusiastic about increasing the supply and being good stewards of the environment. The farm is where it all starts, but to make food security and environmental resilience a reality, we need every link in the supply chain to play an active role and to embed sustainability into the core of their business. Our future depends on it. This entry was posted in ecosystems, fertilizer, Partnerships, Supply Chain and tagged agriculture, Chesapeake Bay, fertilizer, food production, food security, Lake Erie, nitrogen, Toledo, toxic algae, Walmart. Bookmark the permalink. Both comments and trackbacks are currently closed.